It’s high time we chose the must-have cosmetics and skin-care products to be totally ready for conquering the catwalk-streets of our cities. The French cosmetics brand Lanc‚Äö√†√∂¬¨‚Ä¢me is determined pretty seriously to provide us with literally every single necessary product in terms of makeup. Right after discovering the exclusive Lancome collaboration with Anthony Vaccallaro, here we are treated to one more charming makeup collection that comes to help us create the most desired Parisian inspired looks. 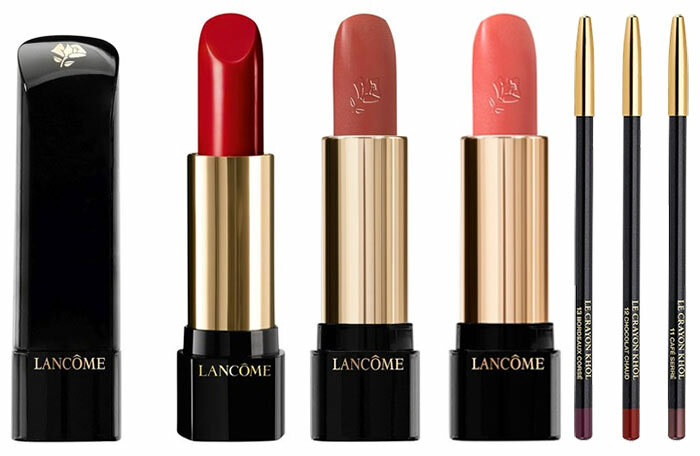 The Lancome Parisian Inspiration fall 2015 makeup collection is designed in collaboration with musical producer, model, writer and Karl Lagerfeld’s muse Caroline de Maigret, and it is sure to make even the most capricious fashionista pleased. Using her knowledge and experience she has gathered during years of working with various makeup artists and also from her mother, she has created pieces for the most anticipated fall season offering warm colors in the spirit of the season. We consider it a must to mention how pleased we are about the precious palettes that have so many necessary products in just one simple case. 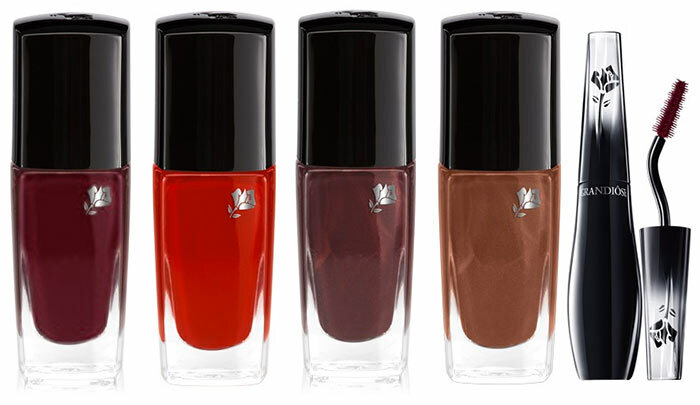 Here is what you can find in the amazing Lancome Caroline de Maigret fall 2015 makeup line. This is a makeup palette for eyes and cheeks. There are four matte eyeshadows in peachy, bronze, brown and beige hues, a pale pink highlighter, three shades for eyebrows, a bright matte pink blush and two double-side brushes for the use of these products all coming housed inside a monochrome black leather case that is so sleek. The color range and texture is so nice and blendable, that we bet the palette will become an indivisible part of your beauty bag. This is a pretty eyeshadow palette featuring warm earth tones and soft pinks, but also two two-side brushed with sponge and fluffy ends to apply the shadows. When it comes to adding depth to your eyes, think unique eyeliner colors, something other than black and simple brown, as these warm red shades can always make your eyes pop instantly. The Lancome grandiose mascara is already a bestseller for its high-quality, but the burgundy shade is nothing we have heard of, so we are all incredibly excited to try it with the lovely new eye pencils in no less unexpected colors. Whether you want to add a touch of glam to your daytime makeup looks or just need to polish your party look, you’re sure to adore all these three lipstick shades in pretty reds. 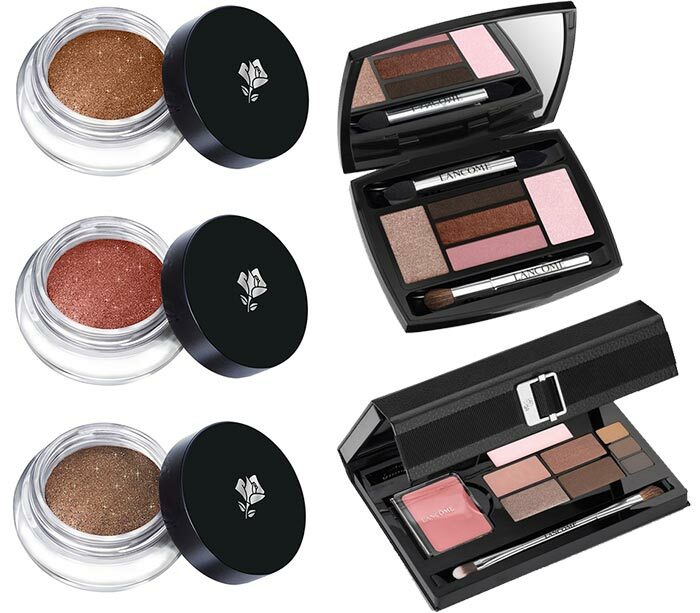 The Lancome Parisian Inspiration by Caroline de Maigret makeup line for fall 2015 is due to reach international stores at the end of August 2015, so you can prepare your must-have beauty kit right before fall arrives!